The LED screen consists on LED modules that uses separate LED light diodes to construct pixels on the video display. LED panels can be built for a variety of applications both indoor and outdoor. The LED screen is not ready made "all-in-one box" display, which is only delivered and installed in place, but is always constructed custom made from specific modules per project, according to the customer's individual needs. The size and resolution of the LED screen is strongly linked to the installation location of the LED screen, the viewing distance, and the contents displayed. There is not one and only suitable LED screen for all the different needs. Shape, size, resolution, brightness and weather resistance of the LED screen are always chosen to suit the customer's special needs. This gives the customer a product that is right for them and they don't pay for what they dont need. LED screens don't have limitations on size, shape or resolution and can be constructed of tailor-made implementations built in the size of the building as a whole, as well as flexible and curved surfaces in different aspect ratios. The mounting frame is always designed according to the customer's requirements and the anchor points available on the property. LED screens are available in several different types of technology for different purposes. Because of its high brightness, LED technology allows the display to be used outdoors and is also well suited to bright sunshine, in direct sunlight. Typically LED screens are used as facade billboards, but in recent years they have also become more common in public transportation display schedules as well as as variable information screens on motorways and interior displays as a replacement for video walls. Indoor LED screens are becoming more and more common due to their seamlessness and good light output, while the video walls built on LCD monitors are gradually overruled. New, more high resolution LED screens enable image quality in Full HD, 4K or even 8K. Semi-transparent LED mesh-type products allow LED screens to be installed on the facades of buildings so that you can still see outside from the windows. When not used LED-mesh will blend into the facade and do not change its appearance as much as a solid LED screen. The LED meshs are also used in a variety of indoor events, such as concerts, as they allow light and smoke to pass through. All display surfaces don't need to be informative. LED screens also allow for the construction of large visual surfaces for interior decoration and mood creation purposes. They can create a visual live "digital wallpaper", the content and atmosphere changes, for example, by different time or background music. The LED screen can also be used on the floor. Applications include: dance floors, catwalks, stages, public space floors. Moving images on the floor can also be responsive to human movements and dancing. Floor LEDs usually do not show high resolution picture, but create color and motion effects on the dance floor, for example. Flex LED panels and special LED solutions. Led embedded in a rubber mat, which can curved by bending. This provides creative possibilities for producing organic curved surfaces around the column or for combining the wall and the roof. Semi-transparent LED products are currently found in quite a number of implementations. They are both solid, semi-transparent rod-like modules. Flexible LED meshes and also membrane glued on a glass with a partially transparent image. These give many new visual enhancement possibilities. 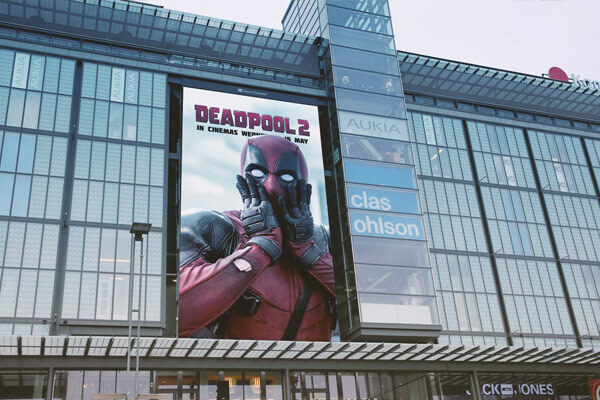 The huge 108m² LED screen, which was put in October 2012, shines in Helsinki's best spot above the main entrance to the Kamppi Shopping Center in Narinkkatori. The Wall's accurate and bright image can be seen by over 110,000 customers every day. 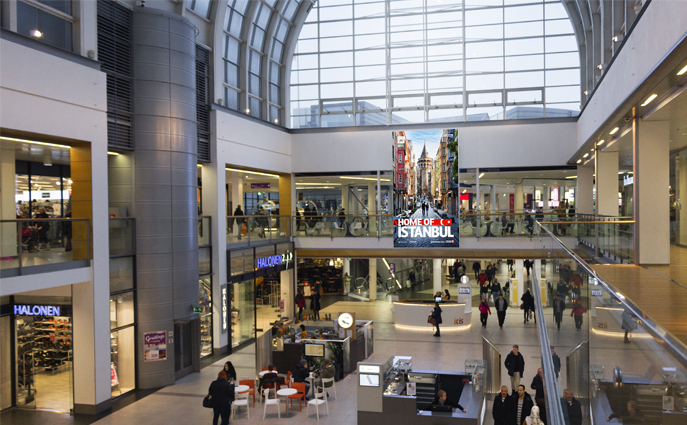 This customer stream makes Kamppis screen a particularly attractive advertizement location. Kamppis The Wall LED screen displays the shopping center's own advertisements, informations and sales of outdoor advertising. In addition, a variety of special campaigns are organized on the screen, a city picture is created and media art is presented. The Wall screen has been the highlight of a variety of Narinkkatori events. 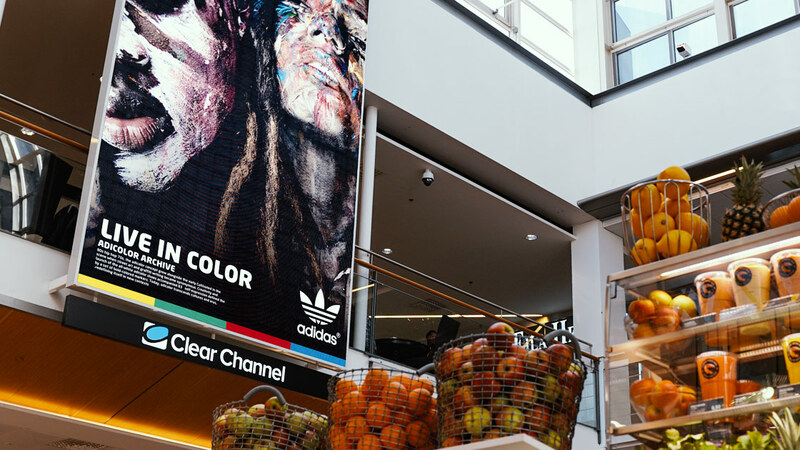 Craneworks implemented and built The Wall in collaboration with Kamppi Center Investments and Clear Channel. The ultra-sharp image and good color rendering of the LED display makes The Wall a landmark for Kamppi and Helsinki. Outdoor speakers were installed in the display, as well as a programmable, scalable video matrix, that allows windowing of multiple image sources simultaneously on the screen for a variety of special campaigns and live happenings. 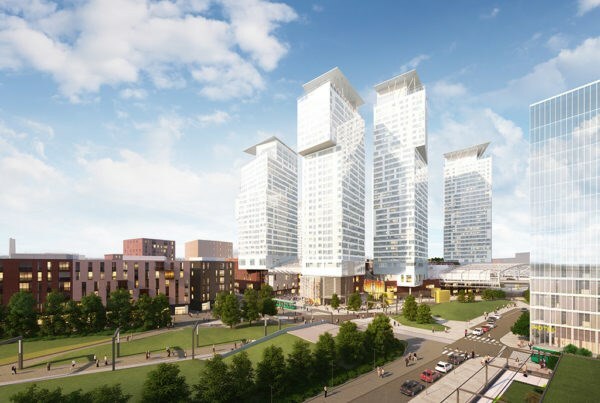 The Redi City Center will be completed in autumn 2018 in Kalasatama, Helsinki. In the spring of 2018, Craneworks has made the largest LED screen supply contract in its history for supplying 10 different LED screens to Redi. Five of the screens are placed out of Red's facade and 5 LED screens indoors. Craneworks updated Itis shopping centers digital look by delivering and installing two exquisite outdoor LED screens in the exterior front door to the shopping center in December 2015. To Tallinn Square and Turunlinna Street. In addition, inside the shopping center, in the central avenue the indoor LED screen gathers attention at its 27 m2 surface, high resolution and good picture quality. 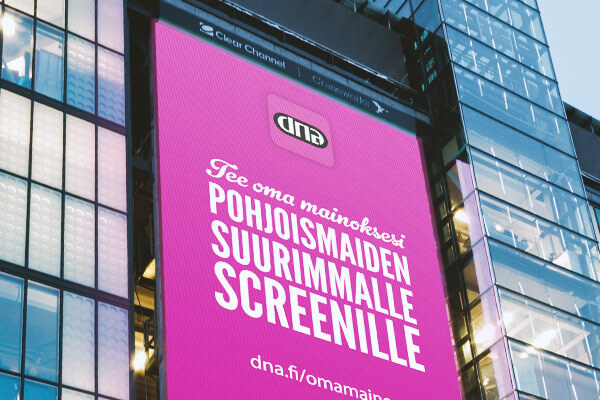 We delivered the three large outdoor LED screen to Nokias Prisma, opened on 16 November. These high-quality LED screens illuminate and display interesting content on the shopping center's main facade. The LED surface is found in Nokia Prisma in a total of 52 square meters. At the same time, we implement Store Digital entrance screens, restaurant screens, service screen displays, and videowall implementation. 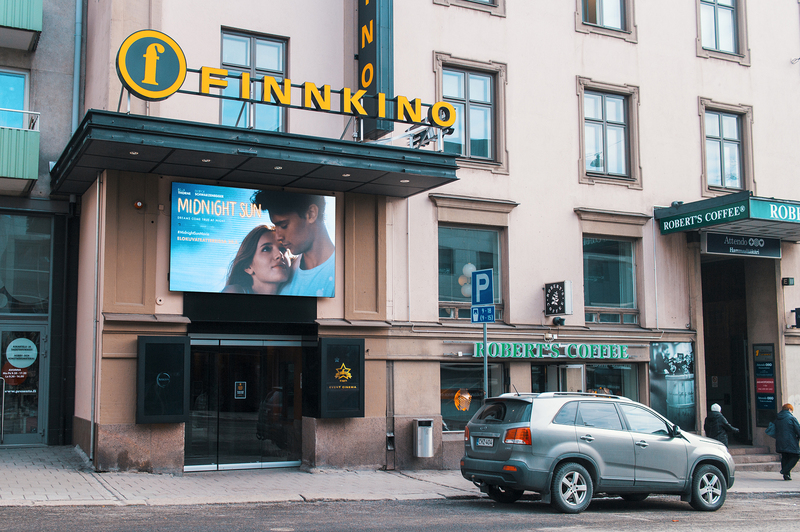 We have delivered the outdoor led screen above the entrance to Turku's Kinopalatsi, along with the special bright LCD screens, as well as the Helsinki Tennispalatsis' indoor placed display that shows passers-by trailers and advertising. LED technology is currently the most energy-efficient way to produce light with the lowest possible power consumption and waste heat output. Manufacturing LED screen consumes resources, but the content is digitally updated, without the need to constantly create and manually replace advertising posters that would repeatedly harm the environment. The LED screen has a typical brightness half-life of 100,000 hours. This means that the brightness of LEDs on the screen will drop to half from the original. Even then, the high-quality LED screen is not useless, if there is still enough brightness left. The LED screens feature the most long-lasting display technology. 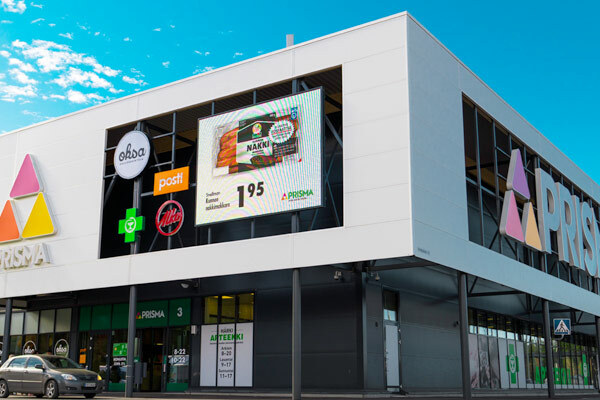 The best outdoor led displays deliver up to 9000-11000 nits of maximum brightness. This high brightness is not reached by any other display technology. High brightness also allows for high contrast and particularly good color reproduction, as well as the best possible picture quality even in direct sunlight in mid-summer. When the LED display is installed, bigger logistics will end to that, expect from a few maintenance and cleaning visits. Content is updated over the network digitally and there is no need to visit the location anymore. In ordinary print, poster and sheet advertising, however, there are constantly new and individually replaceable prints, that cause continuous production and logistic loads to the environment.